We have had enough today. I have water spots on my wall, a window that leaks and a balcony that doesn't drain, but my problems are small. 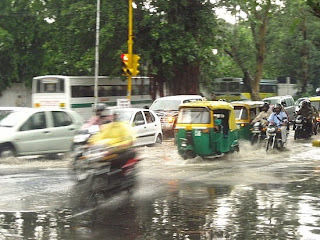 The city of Delhi is flooding. 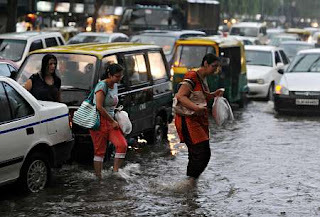 There has been record rainfall for this month. The rain is still coming down. And the waters are rushing down the river toward us. For those who live on the streets, there is no dry place to sleep. I am thankful for my dry home.